for prefab and assembly of pipework. executed in a very short time. prefab and assembly of pipework. Sprinkler systems and piping. That is the speciality of Vanstraelen Sprinkler + Piping nv. And it has been for over 30 years. The prefab activities take place in our own workshop, after which assembly takes place on the work site. 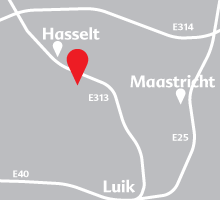 In this area Vanstraelen strives towards operational excellence. Experienced and trained employees guarantee high quality production and assembly at the very best price possible. Vanstraelen Sprinkler + Piping uses only certified materials and piping that comply with the prescribed ISO and NEN standards. Quality and safety are major priorities for us. You can find more information on our approach and targets on this website.